SWFL Restaurant Week is a semiannual promotion that celebrates the BEST dining at an affordable price. The Winter Edition is Nov 30th - Dec 13th with participating restaurants offering 3 course prix fixe menus with special upgrades and deals starting at $25 and $35. 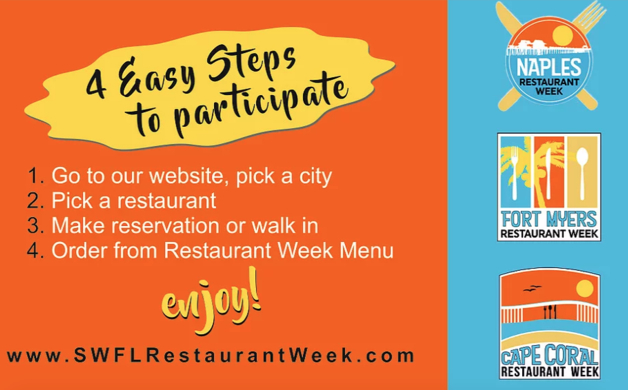 The goal of Restaurant Week is to encourage increased dining out at locally owned establishments and to celebrate the array of cuisine available here in Southwest Florida. Winner of the “Paradise Coast Tourism, Innovation Star” and with over 61,000 covers sold to date, Restaurant Week will be the biggest it's ever been! 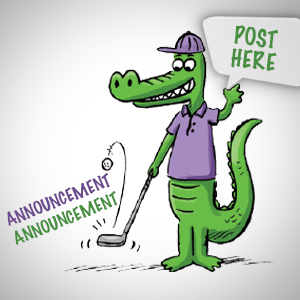 Be a part of a prestigious community event and enjoy all the great food SWFL has to offer. The Gulf Coast Humane Society and the Humane Society of Naples are the official nonprofit benefactor of the 2017 Winter Edition. 1. Pick a city on the SWFL Restaurant Week website. 2. Pick a restaurant from the list provided. 4. Pick from the special $25 or $35 prix fixe menu. Find out about restaurants participating in the Naples Week here, the Fort Myers Week here, and the Cape Coral Week here. 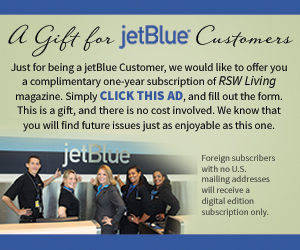 Visit the SWFL Restaurant Week website to learn more.